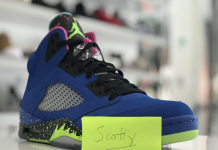 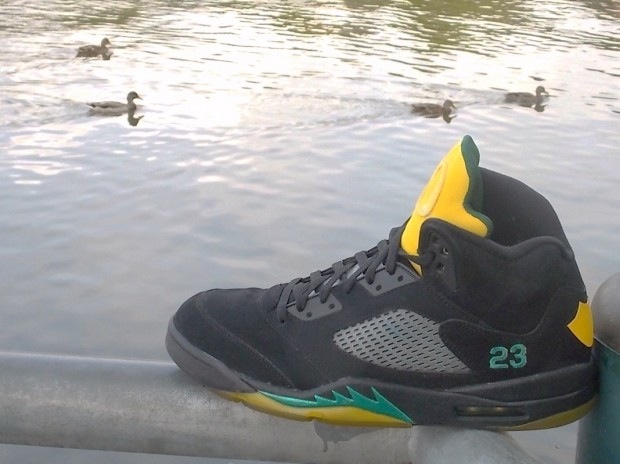 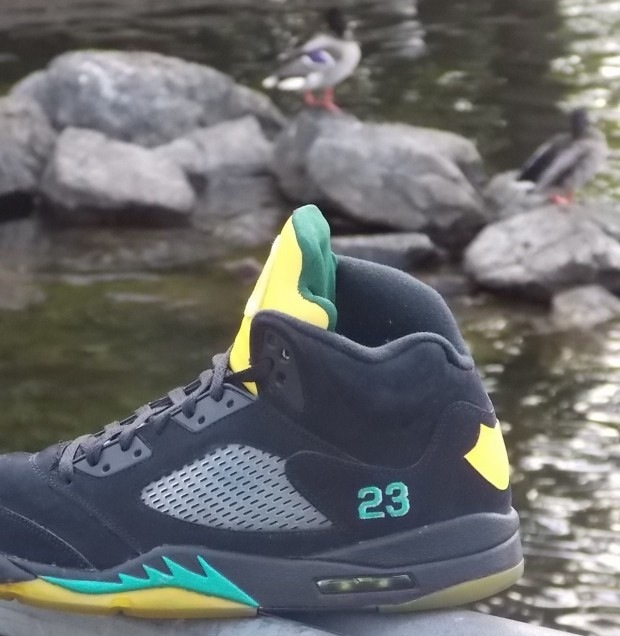 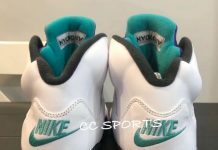 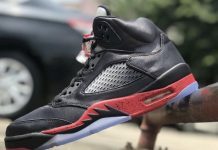 @emmanueLabor whips up a fresh Air Jordan 5 inspired by the colors of the Oregon Ducks. 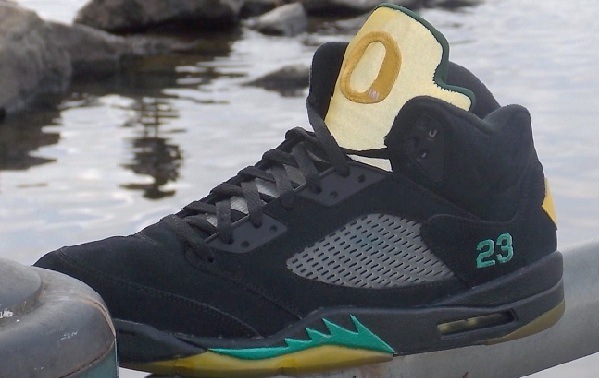 Just like the O.D Air Jordan 3’s from last year, these customs feature the Oregon Duck feet on the heel, O logo on the tongue, and a green liner for that full Oregon feel. 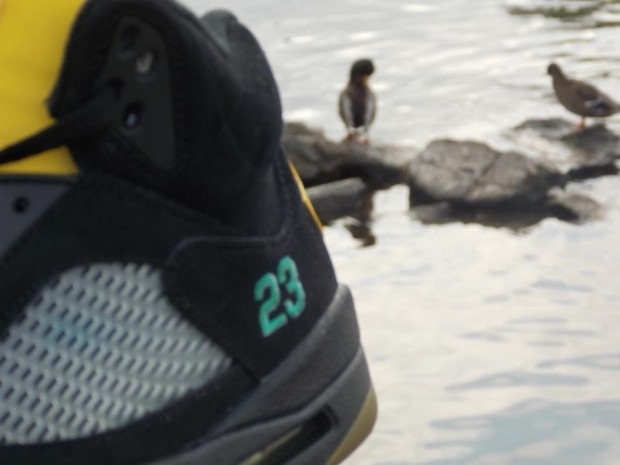 Let us know if you’d cop these if released to the public.